Girls, do you have a Barbie doll? In this game you will be able to choose for Barbie a new outfit and create her new image of the proposed garment. It seems that it will be very bright fashionista. It not only is too bright dresses, but also in dyeing. Try to try them on the girl and look at your result. 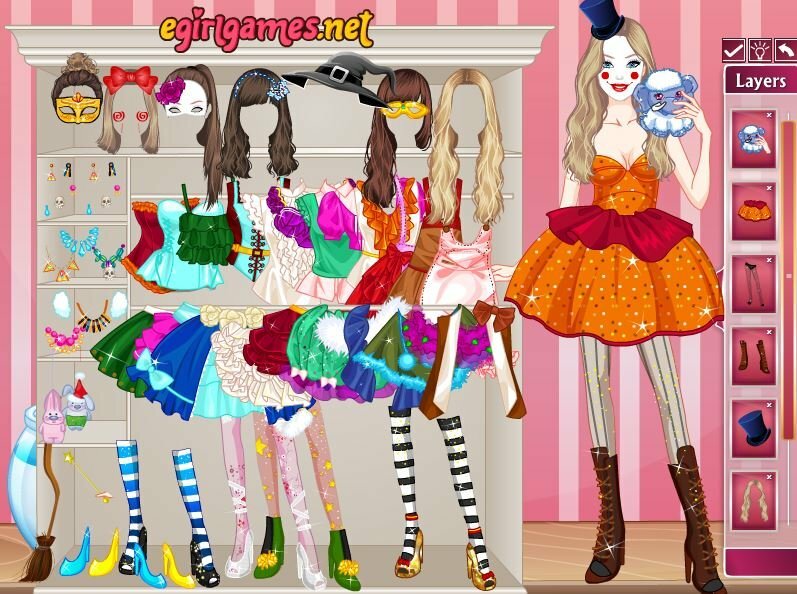 How to play: in this game you will be able to choose a cool dress to create a new image of Barbie. To do this, use the mouse. Carry everything you think it is right to beautiful. In the game there are four versions of attire. Click on the button to look at the options and try to repeat at least one of them. Played: 32832. Added: 11-11-2015, 02:24. A new dress for Barbie. Barbie Puppet Princess dress up game.